Jeffrey Smith knew he wouldn’t get much sleep on December 1. The American human rights advocate sat up all night in front of his computer in Washington, D.C., with his dog Theo, watching as votes in the Gambian election trickled in. More than 4,000 miles away, in the West African country, volunteers in the capital city, Banjul, were emailing him results. 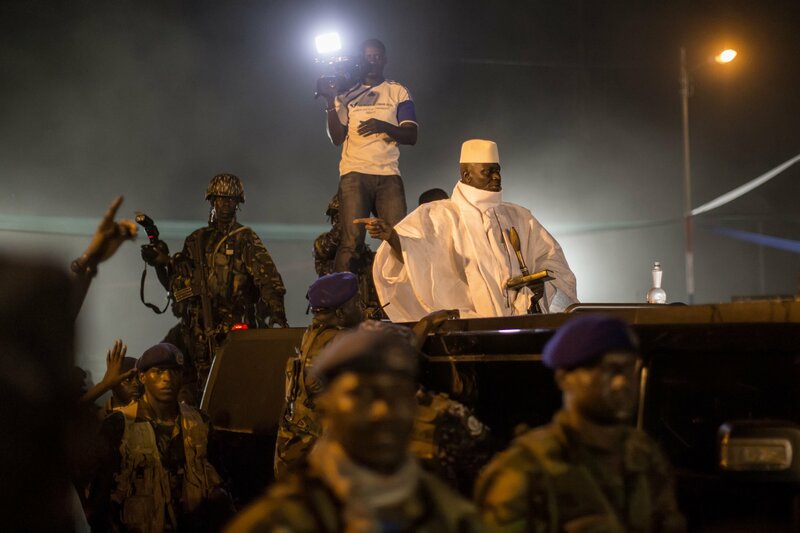 The contest promised to be pivotal: Yahya Jammeh, Gambia’s eccentric, autocratic president of 22 years, was facing an unexpectedly strong challenge from Adama Barrow, 51, a mild-mannered real-estate agent, who had months earlier been relatively unknown. 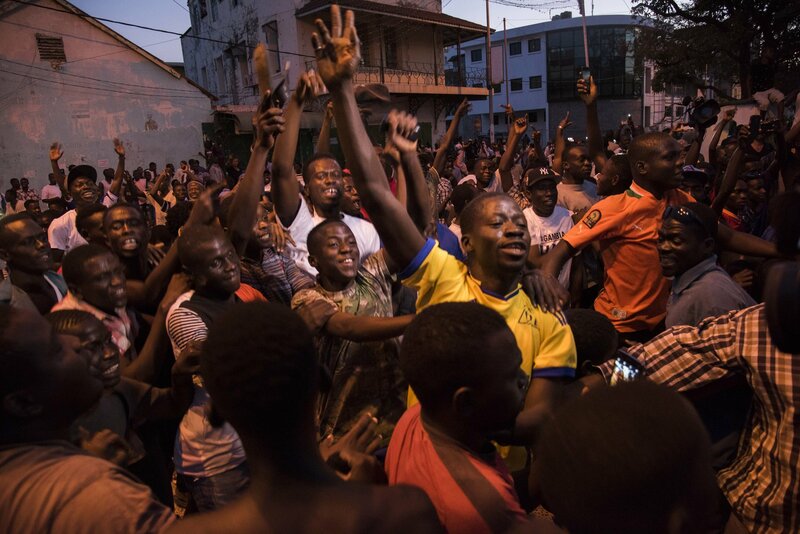 Sometime around 5 a.m. the next day, it became clear that Barrow was going to pull off an astonishing win, ending decades of state-sponsored intimidation and human rights abuses that many Gambians had been fighting against for years. When all the votes were counted, Barrow had secured 43.3 percent of the total, compared with Jammeh’s 39.6 percent share. Barrow celebrated his win. But it was also a triumph for Smith. Nine months earlier, he had helped launch Vanguard Africa, a D.C.-based nonprofit organization that supports pro-democracy politicians in Africa. Co-founded in April 2016 by U.S. Democratic Party strategist Joe Trippi and Christopher Harvin of public relations firm Sanitas International, Vanguard’s mission is to give Africa’s political underdogs the same kind of public relations support often reserved for autocrats who can afford to pay international firms to burnish their images. “Here in D.C., there are so many PR and lobbying firms that work for highly oppressive governments to help them project a positive image, despite massive human rights concerns,” says Smith, 36, who has worked on Africa policy for UNESCO, a U.N. agency that promotes international peace and security; advocacy organization Robert F. Kennedy Human Rights; and U.S. think tank Freedom House . Though Vanguard is primarily running on funding from its founders for now, the group hopes to raise money from sources like family foundations and corporations, to offer pro-bono help to “democratic underdogs” across the continent. 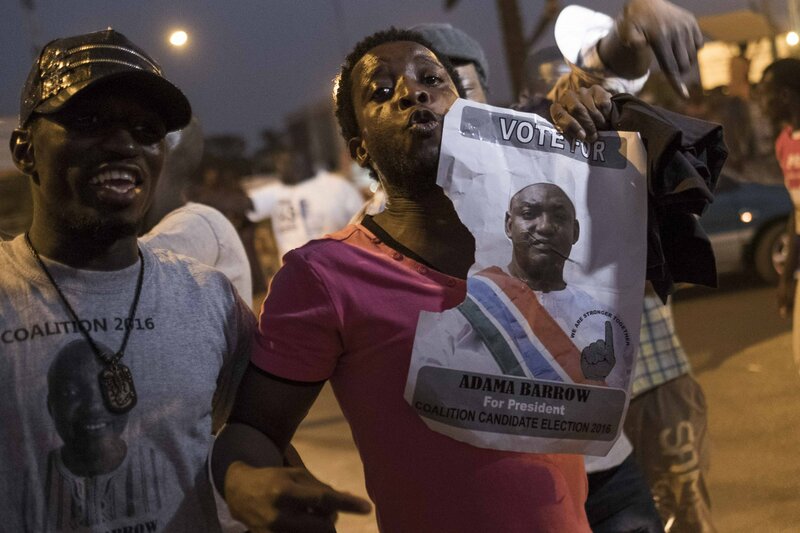 In the run-up to Gambia’s election, Vanguard provided campaign advice and public relations support to candidates daring to run against Jammeh, who seized power in a 1994 coup and whose administration has been accused by rights groups of imprisoning and torturing political opponents, journalists and LGBT people. Smith reached out to international journalists to promote stories, circulated the candidates’ names on social media and regularly spoke to news outlets about the Gambian election. As Gambians celebrated Barrow’s win in the streets of Banjul, thanks poured in to Smith and Vanguard over Twitter. “ Thank you so much Gambia's own Jeffrey Smith. We were ignored by many but you stood up for us all the way,” one Twitter user wrote. Smith tried to redirect some of the praise back to Gambian voters, but the media attention put Vanguard in the spotlight. Some questioned why he was even involved. “ Shouldn't we rather want to ask who exactly is @Smith_JeffreyT and what is his agenda with our destiny,” another user tweeted. That Twitter user’s skepticism, though in the minority, underlines the tricky nature of Vanguard’s work in promoting democracy from the other side of the globe. But nongovernmental organizations like Vanguard could take on an even larger share of this work under the new U.S. administration, which appears committed to reducing America’s engagement abroad. In his inaugural address on January 20, President Donald Trump promised to put “America first.” This could include deprioritizing Washington’s long-standing practice of promoting democracy in other countries. In a speech in Pennsylvania in December, Trump said his administration would “stop trying to build new nations in far-off lands.” According to Steven Feldstein, former U.S. deputy assistant secretary of state in the Bureau of Democracy, Human Rights and Labor : "There's a lot of trepidation in the democracy community about what’s coming next." But organizations in the U.S. are likely to continue their work, he adds. Democracy-building groups that receive government funding, like the National Democratic Institute, have a long history of bipartisan support among U.S. lawmakers, and others are privately funded. Autocratic governments in Africa often use money, graft, and restriction of information to hold onto power, says Feldstein , which makes outside help essential for opposition parties to run viable campaigns. "The type of work that Vanguard is doing is absolutely critical as a way to balance out a playing field tilted in favor of incumbents,” he says. Many of these pro-democracy groups work in Africa, where democratic gains have been made in recent decades but serious challenges remain: In 2015, leaders in Rwanda, Burundi and Congo sought to extend their term limits, and last year, violence and corruption marred elections in Uganda, Somalia and Gabon. 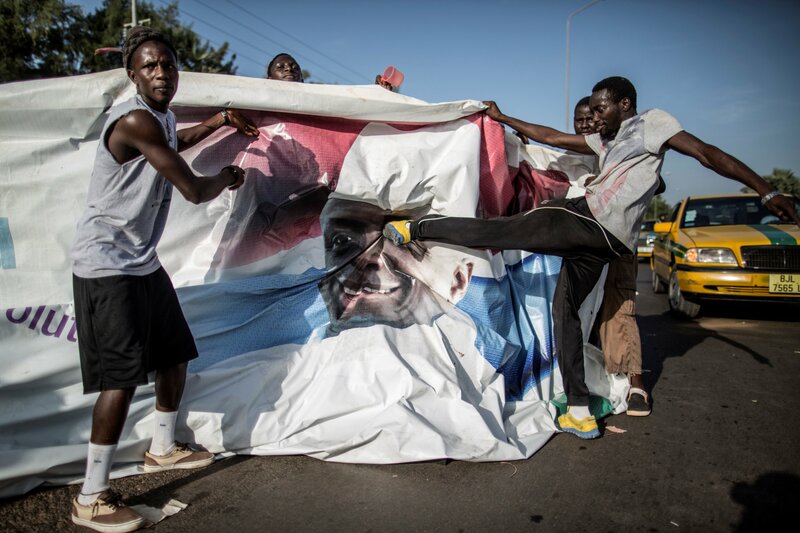 In Gambia, Barrow’s upset turned the tiny country—population 1.8 million—into an unlikely international news story, as the world watched to see whether the president would step down. A week after he conceded, Jammeh rejected the election results and requested a fresh vote. T housands of Gambians fled the country after the regional bloc Economic Community of West African States warned that it might intervene if Jammeh did not back down; Barrow left for Senegal in mid-January for safety and had to be sworn in on January 19 as Gambia’s new president in an inauguration ceremony in Dakar. Barrow tells Newsweek he welcomes outside help in shoring up democracy in Gambia. “We want to accept all democratic principles. We want to defend democracy, human rights, rule of law—this is what we are advocating for,” he says, speaking by phone from Senegal, where he will remain until it is safe to return to Gambia. Barrow hopes to reinstate foreign relationships that suffered under Jammeh. (The U.S., for instance, had suspended the country from some aid and trade benefits.) Under Barrow, maybe some of that will change. “We will be looking for support. We don’t have natural resources, the economic situation is very, very serious, so we want everybody to have their hands on deck, Gambians and Gambia’s friends, to help Gambia stand again,” he says. 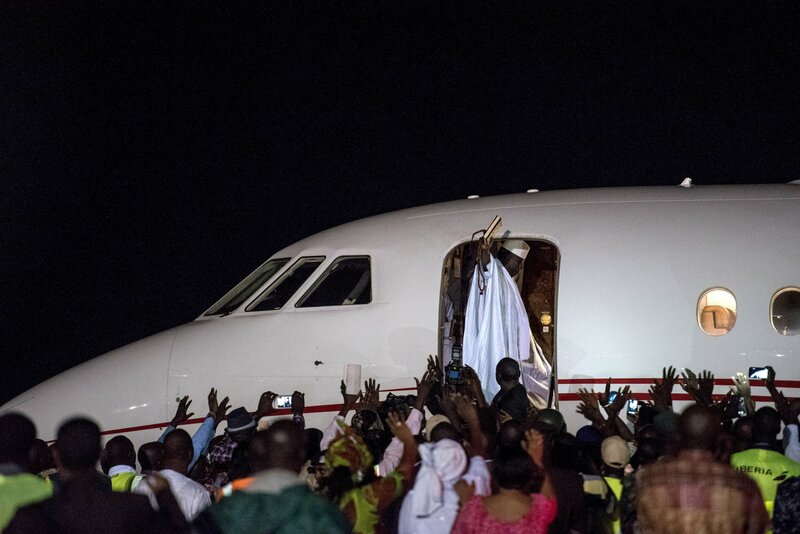 On January 21, after West African troops rolled into Gambia to ensure a peaceful transition, Jammeh relented, going into exile in Equatorial Guinea. 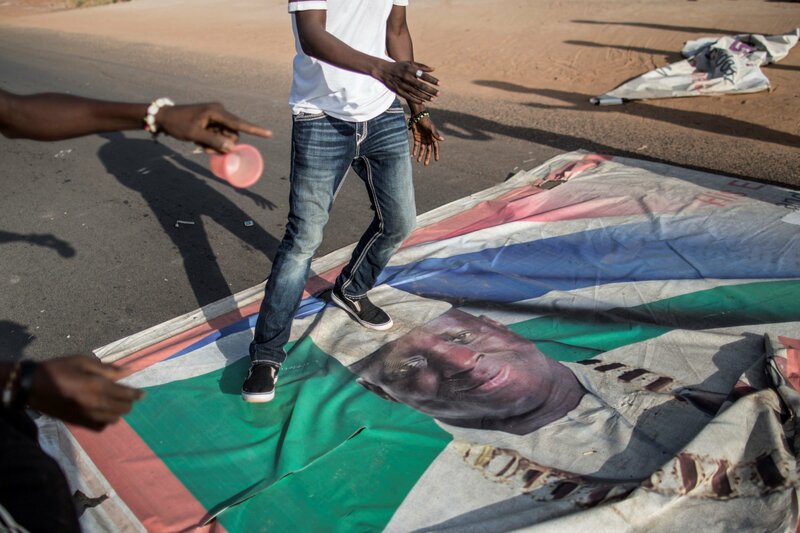 Though Jammeh was reportedly allowed to keep his luxury car collection—to the chagrin of some Gambians—it was, at least, Gambia’s first peaceful transition of power since the country gained independence from the British in 1965. Hundreds of relieved Gambians made the trip back home. Vanguard’s founders want to make sure more leaders like Barrow can have a shot at power. “People spend a ton of money to fight HIV and malaria, and a lot of it is pocketed by corrupt leaders,” says Trippi, a senior adviser at Vanguard, and a campaign consultant who worked with Democratic presidential candidates Howard Dean and John Edwards and on Zimbabwe opposition leader Morgan Tsvangirai’s 2008 campaign against dictatorial President Robert Mugabe. The group hopes its successful campaign in Gambia will be a blueprint for working in other countries where fledgling democratic movements need a boost. Vanguard explicitly states that it will only help candidates and leaders who meet its pro-reform, pro-democracy criteria, which include a commitment to transparency and free elections. So far, Vanguard has only officially worked with candidates in two elections—Gambia and Somalia, in which the firm supported Fadumo Dayib, Somalia’s first female presidential candidate, before she dropped out over concerns that the election was rigged. Barrow says he was grateful for the support. 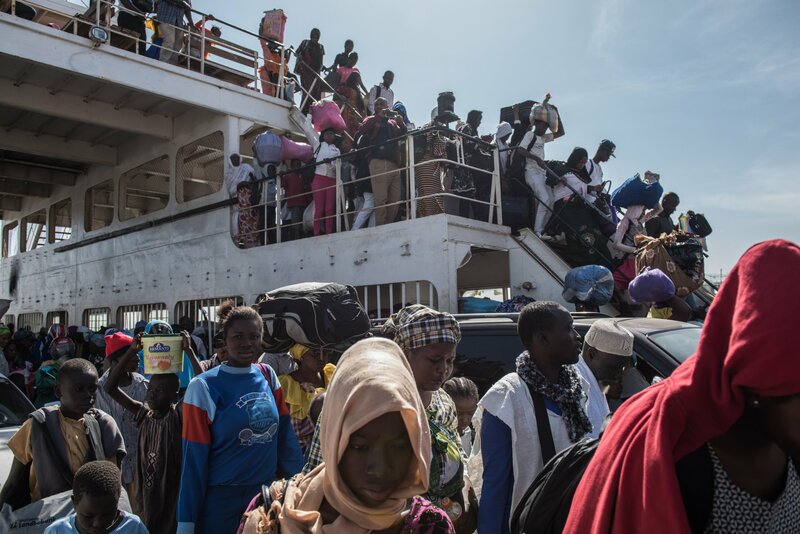 “Of course we welcome support because it was something that Gambians needed, it was something that has taken five decades before it happened, for the first time in the history of this country, so it’s a welcome development,” he tells Newsweek.